Oooh, Shinies! 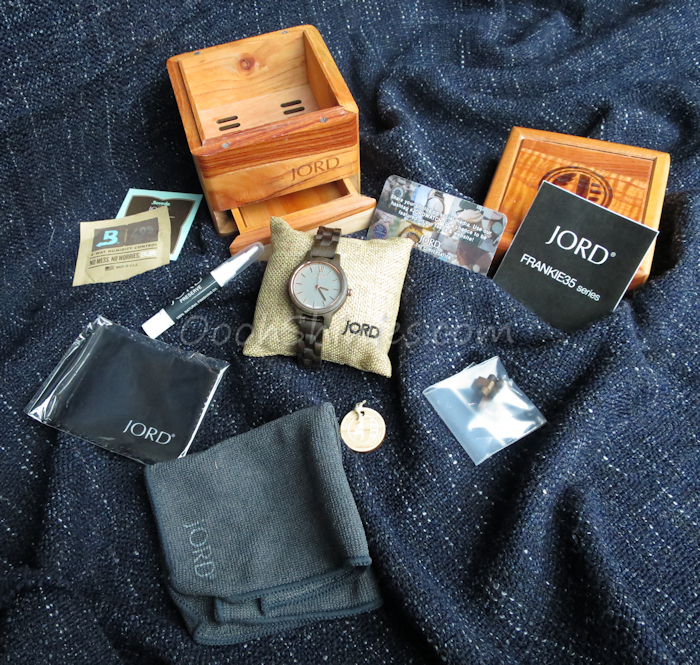 : JORD Wood Watch: a review and giveaway! Woah! It's been SO long, remind me how this whole blogging thing works again?! :D Well, I have a great reason for a comeback - the wonderful people over at JORD contacted me and offered a review plus giveaway for you guys! Let me start this post with a little update. I've been quite busy and nail art and blogging just wasn't high on my list anymore. In fact, I started clearing out my stash! Of course I still wear polish, hah, some things never change :) But having to find the right color in those endless amounts of bottles didn't work well anymore and my goal is to just keep a few drawers. Still a lot more than average I'd say, but in a way that works better for me nowadays! 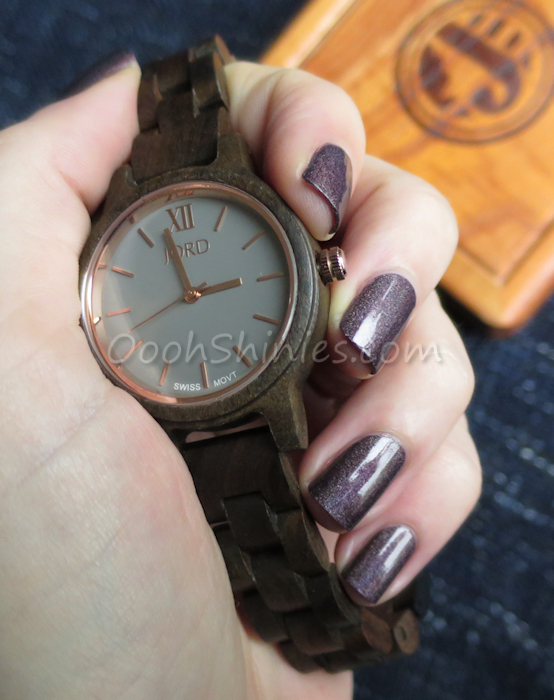 Having said that, with the remaining drawers being a hot mess right now, I'm not overly pleased with the colorcombination I chose to show off this watch - but you'll have to forgive me, I currently can't really find my way around my stash, ugh! But I found a great charity for a lot of my stuff, it'll go to girls in Africa that want to become beauticians, and I hope they'll enjoy all those pretties that I won't be using anymore. And yes, it took me this long to start clearing out, my precioussss! Eek! Haha. Aaaanyway, back to JORD! 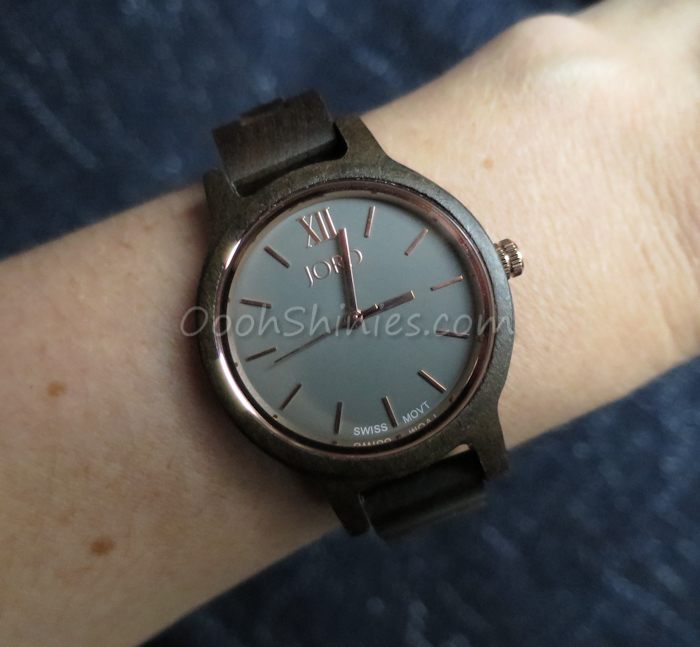 While I was away from the blog, they kept on adding beautiful new timepieces to their collection. And they made some changes to the way the product is presented to you as well! Let's have a look, shall we? They've changed the box that holds the watch, it now has a small drawer at the bottom and the lid closes with tiny magnets. They've also added a tube with natural finishing oil, to help you take care of & condition your watch. Here's everything shown at once! In the drawer you'll find a little bag of product for humidity control, and the box contains the remaining links, the oil, cleaning cloth and wipe, some information about the watch and brand. And of course, the watch! It's the Frankie 35 in Dark Sandalwood & Slate. The polish I'm wearing is of a brand I use A LOT nowadays... A England has always been a favourite, but I really became a sucker for the colors, coverage and application! This one's Sleeping Palace. Right, back to the watch, with all its details! It comes with protective foil on the front, blue protective foil on the deployment buckle and a little piece of plastic on the knob of the watch. The battery won't start unless that's removed and the knob is pushed in. It has a black buckle and on the back of the piece itself is the usual JORD imprint. 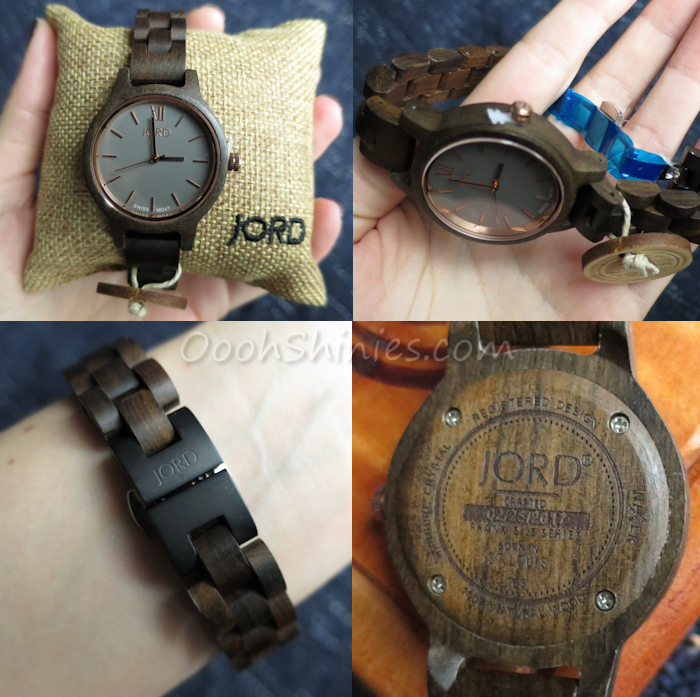 I love the great attention to detail the JORD watches have, and the natural grain of the wood never bores me, making each piece truly unique. And there we have it on my arm, isn't it beautiful? I love the combination of the dark wood, the slate (which varies in darkness depending on the light) and the soft copper, which leans a bit golden at times. The watch feels light and comfortable, just as their other watches that I've had the honour of reviewing. You can find those here: Fieldcrest in Dark Sandalwood - Ely in Black - Cora in Koa & Rose Gold. Now, as I said above, JORD also offered a giveaway for my readers, woop! And not just that, I get to offer you a coupon code for 25% off as well! The giveaway will end on December 27. Entering the giveaway can only be done by clicking the link below and filling out the form on the JORD website. The coupon code is valid until December 27. The winner will get $100 to spend at the JORD website plus FREE SIZING and FREE SHIPPING! Wouldn't that be a lovely way to end the year, with a brand new watch on the way? If you wish to get a great discount, just head over to JORD and use code 'bregje' for your 25% off! For now, I wish you all the best of luck in the giveaway, and let me know what your choice would be! :) Take care!